This incredible journey is unlike any other. On your tour of Warsaw, Krakow, Prague, Vienna and Budapest you will be overwhelmed by the myriad of sights we meticulously selected just for you. This incredible journey is unlike any other. On your tour of Prague, Vienna and Budapest you will be overwhelmed by the myriad of sights we meticulously selected just for you. 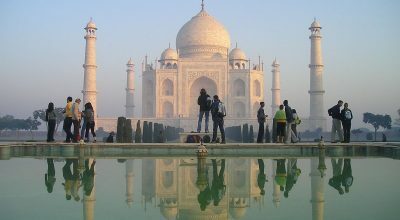 Throughout your journey you will see each city’s most famous sites. 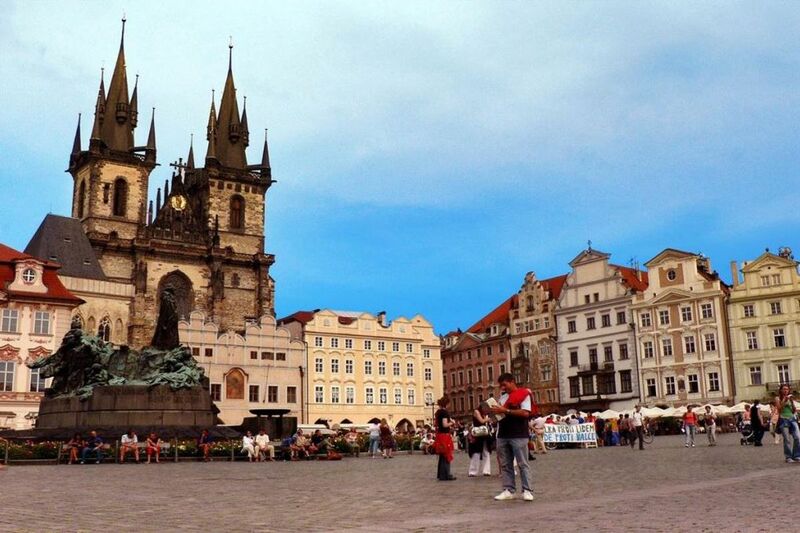 In Prague, you will visit the Old Royal Palace, the Cathedral of St. Vitus, and the Golden lane. 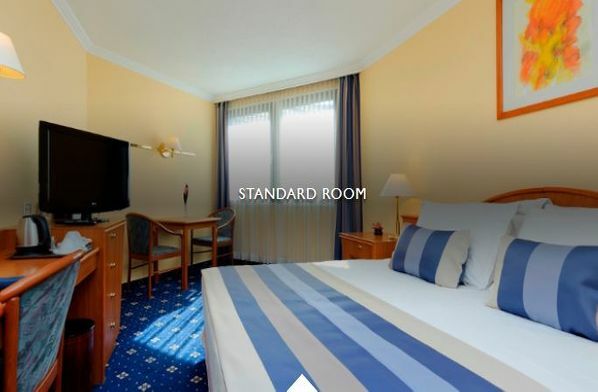 In Vienna, enjoy the Hofburg Palace followed by St. Stephen’s Cathedral and more. 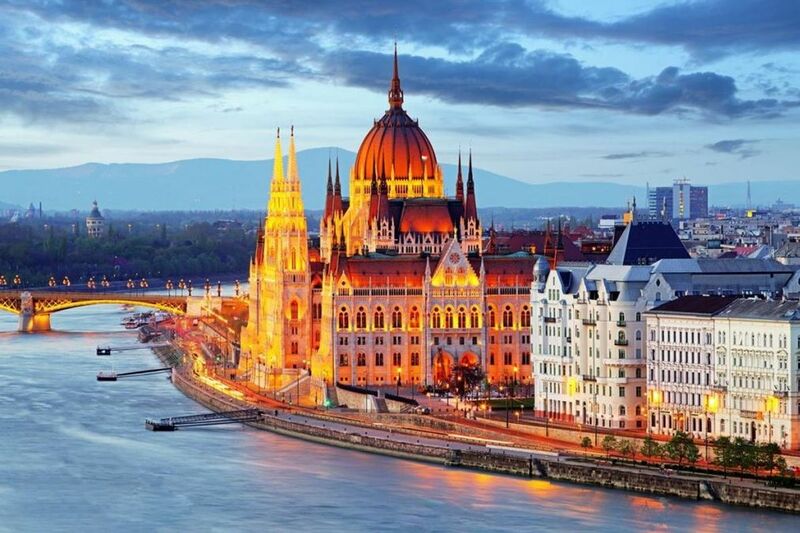 In Budapest, discover the charming and beautiful city that once was the twin cities, Buda and Pest in 1873. 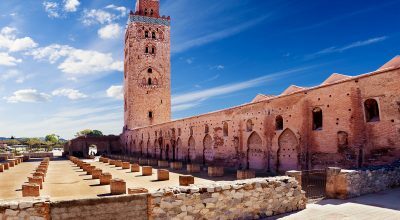 This tour offers the best of these incredible Imperial cities that will leave you with a lifetime of memories. Please inquire about touring by private car & guide. What can you expect as part of your tour? You will be met and transferred to your hotel. There’s time to relax before meeting your fellow travelers and Tour Director for a Welcome Dinner. The 700-year-old capital of Poland is a symbol of nationhood and the will to survive against great odds. A sightseeing tour here includes a drive along the famous Royal Route from grand Castle Square to Lazienki Park and Palace, summer residence of the last king of Poland. See the Palace of Science and Culture (known as a “wedding cake”), the Saxon Gardens, Tomb of the Unknown Soldier, Monument to the Heroes of the Warsaw Ghetto, and the Barbican. Then a walking tour shows you Old Town, Old Market Square, and St. John’s Cathedral. The rest of the day is free. You might want to attend an optional late afternoon Chopin concert. This morning, journey to Czestochowa, famous for the blackened picture of St. Mary in the Yasna Gora Monastery, popularly called the "Black Madonna." In the afternoon, tour solemn Auschwitz-Birkenau, the notorious concentration camp from World War II. It is now on the list of UNESCO World Heritage sites. Then on to Krakow. Sightseeing starts with a visit to Wawel Hill, where you’ll see the Royal Castle and visit the Royal Cathedral. Then, on a walking tour of the Old Town, visit the Main Market Square, Renaissance Cloth Hall, and St. Mary's Church. The afternoon is free to shop and do more sightseeing. Drive through the Polish countryside, crossing the borders of Slovakia and the Czech Republic. Continue to Prague, the Czech capital, with its lovely Baroque churches, promenades, parks, and old city walls. Built on seven hills and both banks of the Vltava River, Prague is one of the most alluring cities in Europe. Your city tour starts with panoramic drive to see famous Wenceslas Square, Strahov Stadium and Castle Square. On a walking tour, visit the Royal Castle of Hradcany with the Cathedral of St. Vitus, the Old Royal Palace, St. George's Basilica and the Golden Lane with the Daliborka Tower. 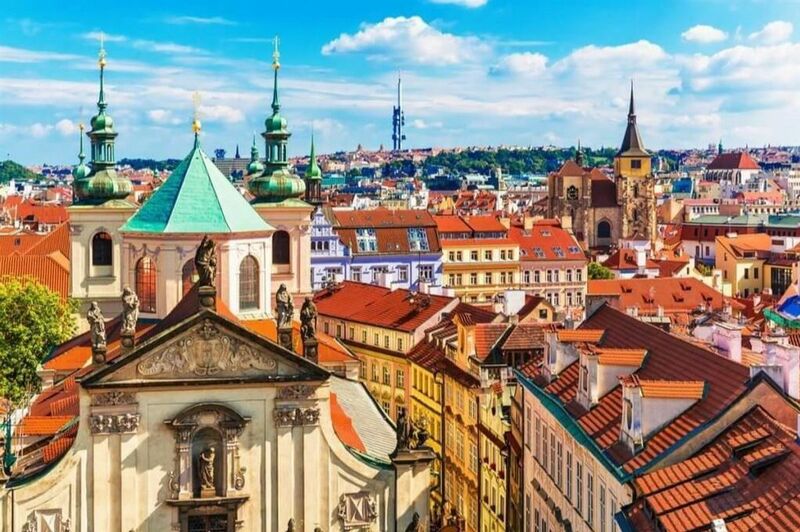 Cross the Charles Bridge and walk through the old quarter of Prague, viewing the Jewish Ghetto, the Town Hall and the world-famous Astronomical Clock. The rest of the day is free. Perhaps attend an optional cultural performance, shop, or just relax. 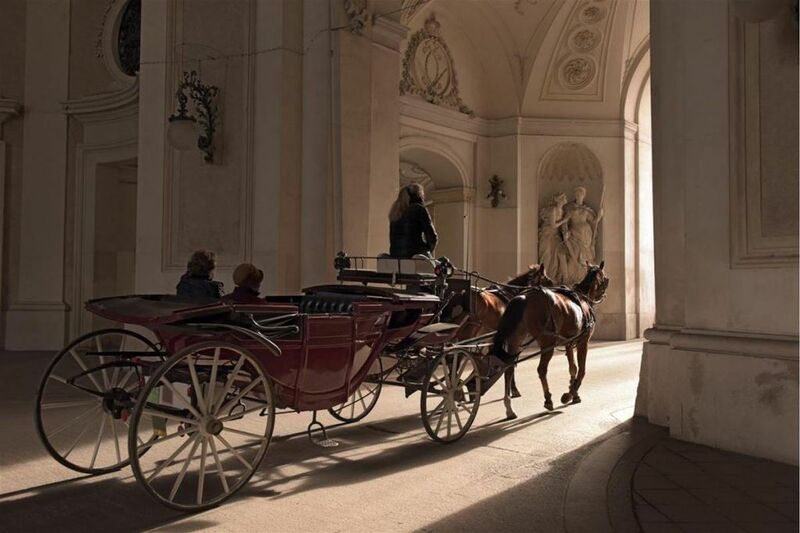 Head to Vienna, the "City of Waltz." Your time is free in Austria’s lovely capital. 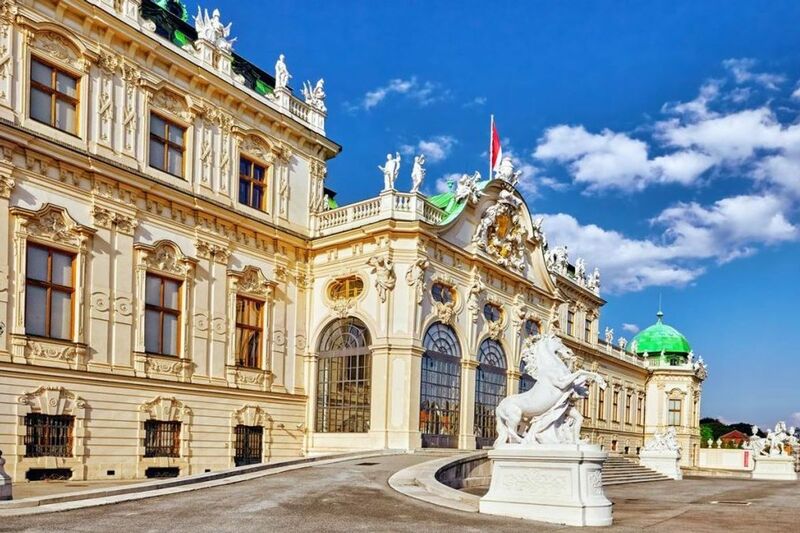 On a morning sightseeing tour, visit Hofburg Palace, once the center of the Habsburg monarchy, see Belvedere Palace, Prater Amusement Park, the UN Buildings, St. Stephen's Cathedral and other remnants of the city’s imperial history. The afternoon is at leisure. Tonight, gather for a dinner in a local restaurant. After breakfast you will be transferred to the airport for your departure flight. In 1873, the twin cities of Buda and Pest joined with ancient Obuda to form a new, unified city, Budapest. Charming and beautiful, the city was declared a World Heritage site in 1987. Your morning sightseeing tour includes views of all the main attractions: The Parliament, Royal Palace and the Castle Hill area, Fisherman's Bastion, Matthias Church, Heroes' Square, and Gellert Hill with its Citadel. The rest of the day is at leisure to explore this exciting city on your own. Tonight, enjoy dinner with entertainment in a typical Csarda restaurant. (B) Breakfast (L) Lunch (D) DinnerNote: All itineraries are subject to change * No minimum of passengers is required for regular tour service. All tours are subject to availability and should be confirmed within 72 business hours. Hallmark of the angelo by Vienna House is its strong colour scheme combined with Asian furnishings, which is shown in the rooms, too. 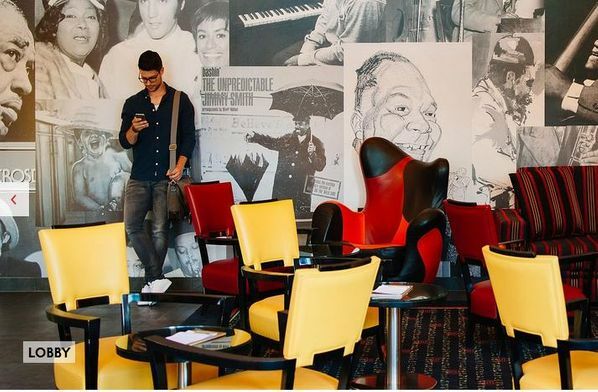 The hotel is well known for its culinary offerings and the stylish Jazz Bar. The popular Smíchov district, referred to as “Anděl“ (“Angel”), is within easy reach of the most interesting places and a great deal of culture. 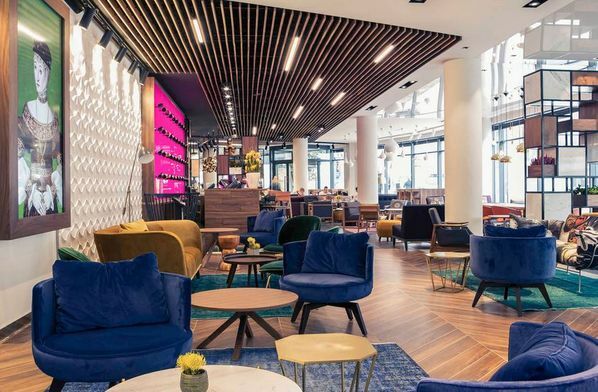 Combining a magnificent location in the heart of the city with great amenities and services, Hilton Vienna is the place to stay when visiting the Austrian capital. Walk to all of the main attractions with ease and reach the international airport in only 16 minutes via direct link. 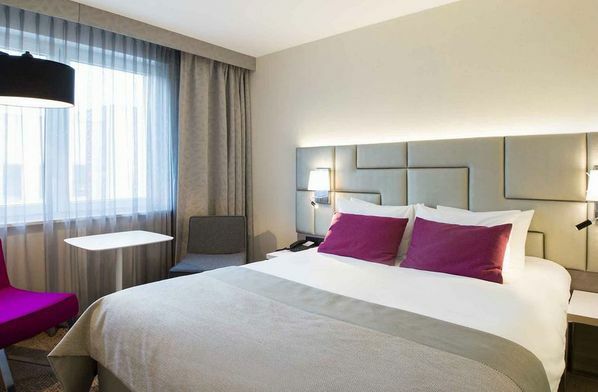 While you’re here, try Austrian cuisine in our restaurant S’PARKS, relax in a stylish guest room or suite, or simply unwind in our health club facilities. 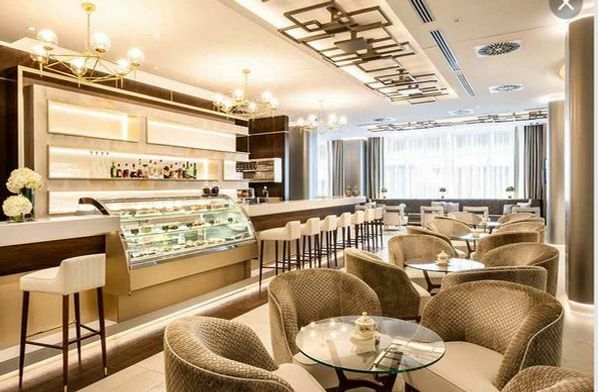 Built in 1913, the Radisson Blu Béke Hotel in Budapest invites you to step back in time. Its elegant traditional exterior partners well with the stained-glass windows and frescoes created by Hungarian artist Jenő Haranghy. 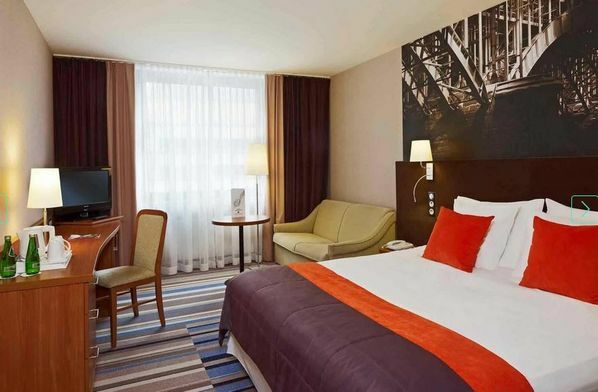 Ideally located close to both the business and shopping districts, the hotel is within walking distance of popular attractions like the famous Andrássy Street, State Opera House and Heroes’ Square. 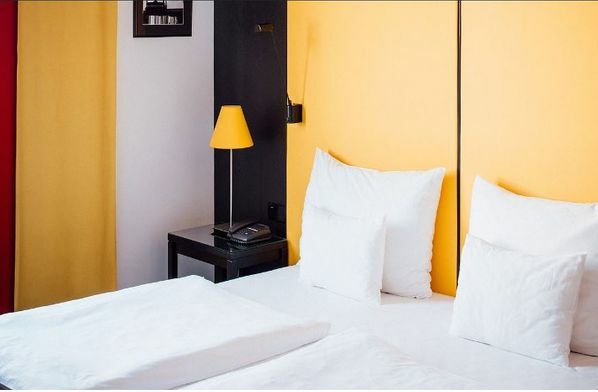 This hotel boasts a unique facade and interiors. 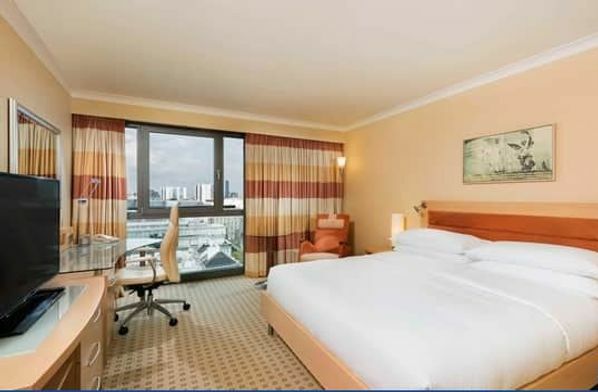 Stylish rooms and a modern conference center are our response to the needs of a rapidly changing Krakow. 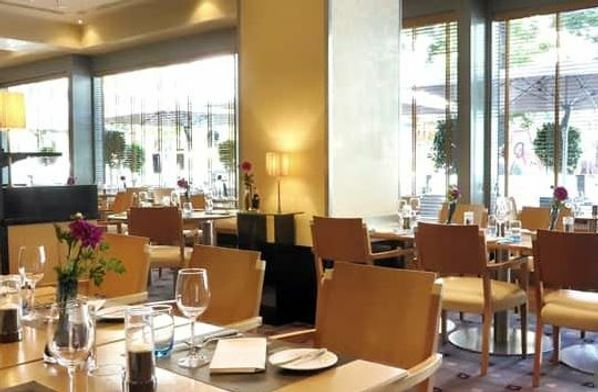 The Winestone Restaurant is a unique place where you can savor delicious meals, meet with friends or simply relax after a busy day. 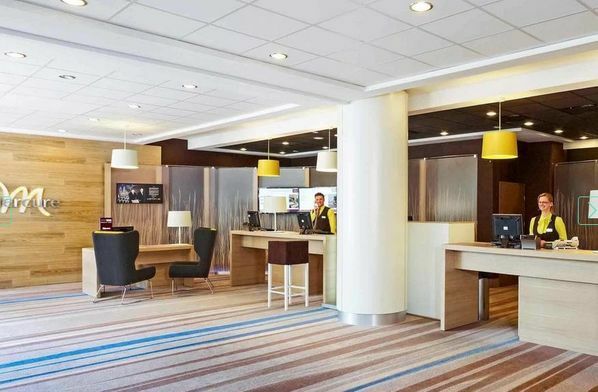 A 25-minute walk from Royal Castle, Mercure Warszawa Centrum Hotel is a 4-star excellent property offering a non-smoking accommodation. The hotel was opened in 1989 in a 5-story Royal building and renovated in 2001. Disclaimer: Star rating standards vary from country to country. © 2019 GIL TRAVEL AND TOURS INC.
Get updates on new tours and offers, travel tips on special destination and more! Get updates on new tours and offers, travel tips on special destinations and more!